Food!!! I was the 1st in line. Haha. Okay, the food was awesome. Hehe. I love their salad and the roast beef. Their rice is oh so tasty too! Yum. Mich was trying to get me to eat the dessert she got for me (creme brulee) but I was busy chatting away to notice. Hee. After eating we took more photos (of course), then we were asked to introduce ourselves one by one. We were also asked to tell everyone what brand we would most likely be and why. It was a no-brainer that I chose Archive Clothing coz I love old vintagey stuff. And Forever 21--looking young, feeling young (Myra-E?). After that we were asked to participate in a fun drawing activity where we had to design our own pad. Bestie had the most award winning design. Heehee. It felt like we were in grade school again! Hehe. The Row 4 girls are pressured. Haha. More camwhoring after the jump! We were given goodie bags with of course Kotex pads inside. Yey, I have stocks now! Class picture at the WOW wall which we totally covered. Haha. So there, can't wait to see you girls again next next week! ﻿For now, I need to rest coz my throat hurts. Uuugh. Been attending events 3 days in a row. I'm happy I'd be able to rest today. But, I have another styling gig on Friday! This time for a magazine. Excited. :) Hope you're all having a great week! in looooove with your fringe bag, dear! gorgeous girls!!! your outfit is amazing!! love the shoes! Sybil - tnx girl wish you were here too! 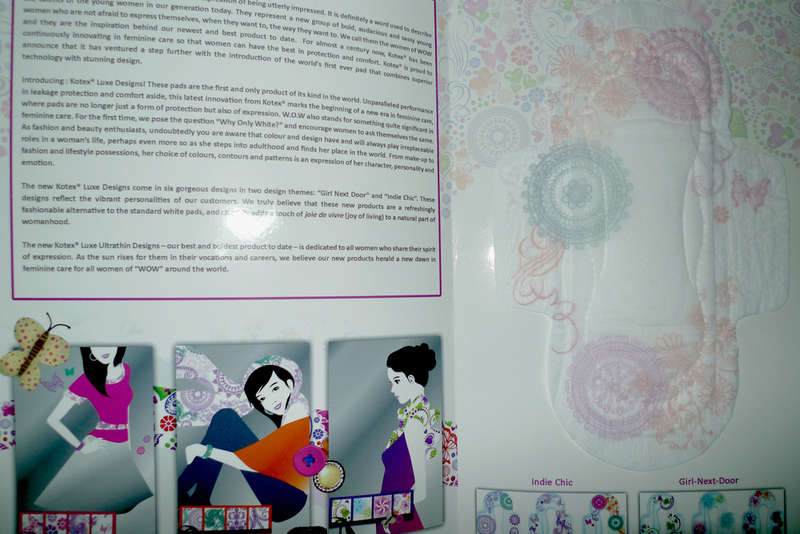 I hope the kimberly clark people--or any phil company for that matter--made tampons naman! Not only are they better for period protection, they can also be less damaging to the environment if gawa sa 100% biodegradable cotton di ba? Your post got me thinking about how many pads are used by Phil women every day, and where all that plastic is going! Gosh. Oh sayang, I missed this :( Everyone's so gorgeous! I can not believe your shoes are mocked! loves heels. Buti pa kayo palaging my fashion bloggers meet he in.